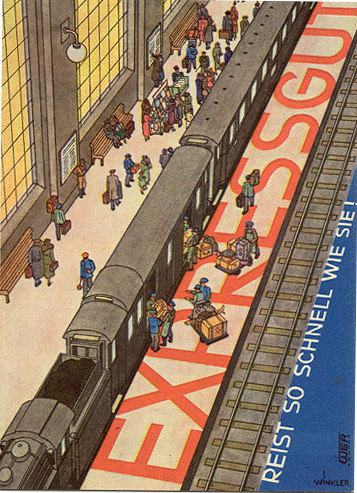 Brochure "Expressgut - Reist so Schnell Wie Sie!" circa 1935. Published by the WER. Signed "Winkler."